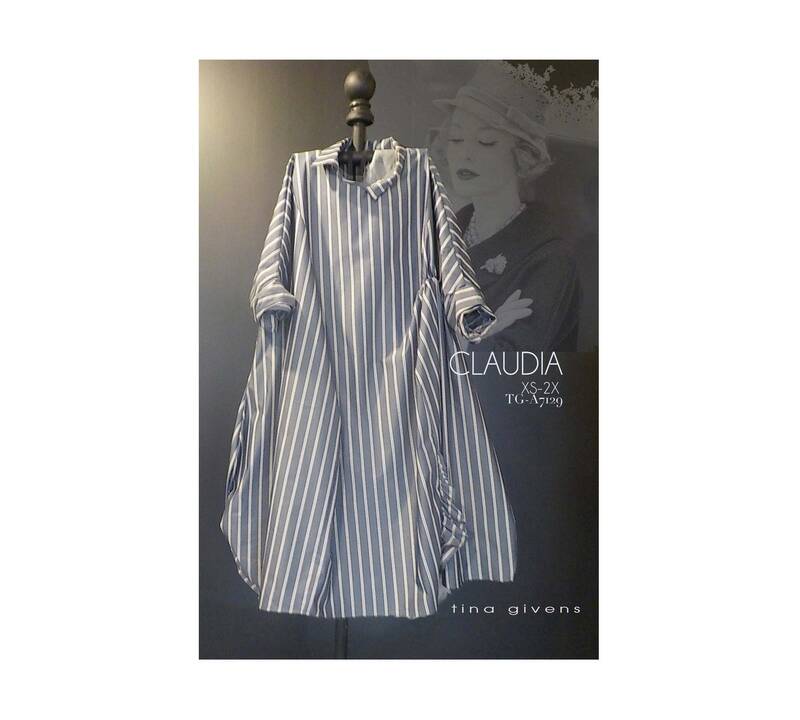 Claudia is one of those easy-to-wear dresses any time of the year. Shown here in a lightweight cotton sateen. This could be gorgeous in a large cabbage rose chintz. In linen the dress would hang too much and not hold its shape. A bubbly skirt shape, optional sleeves (without sleeves Claudia has cap sleeves), pocket(s), collar (also optional) and an asymmetrically placed ruffle. The center back and the left front side panel is shaped with a clever pleated technique. Really quite simple to make. It's all about the technique and placement.